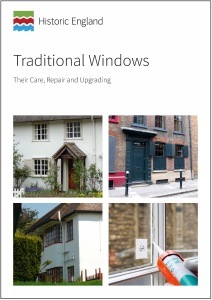 This updated guidance on traditional windows covers both timber and metal windows and is aimed at building professionals and property owners. Historic windows are often of considerable importance to the significance of listed buildings. They can contribute to significance through their design, materials and workmanship. Detailed technical advice is provided on their maintenance, repair and thermal upgrading as well as on their restoration. The guidance also sets out our general approach when alteration or replacement requires listed building consent.